The business responsible for Britain’s largest phone and broadband network is seeking further local applicants as parts of its largest ever recruitment drive in the UK. The new recruits are set to play a vital role in Openreach’s plans to build more ultrafast Fibre to the Premises (FTTP) broadband across the country. Twelve new fibre engineering schools are being established in the UK, including one in Saville Road, Peterborough, with hundreds of thousands of pounds being invested equipping the centres with the latest fibre engineering training facilities. 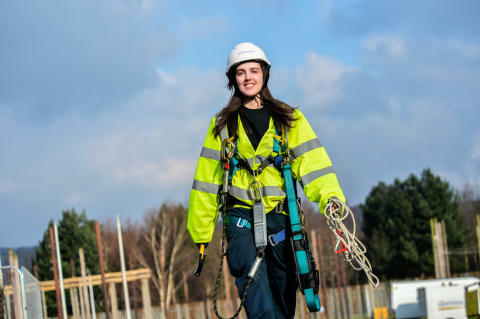 Kieran Ingram, General Manager for Openreach in the East of England, said: “The trainee engineer roles are proving popular and the vacancies are being filled rapidly. We have already received applications from nearly 200 people in Cambridge and the surrounding area, but we still have places available and would encourage even more local people to come forward.